Linda Smith, our rockstar support coordinator, received this very nice letter the other day from Cindi in Cambodia. Cindi took our TESOL Certification course in Phnom Penh, and is now loving life as an English teacher abroad. It’s always great to hear from teachers who are embracing life abroad and making the most of their experience, and we wish Cindi continued success and happiness on her adventure abroad! You can read her email below. 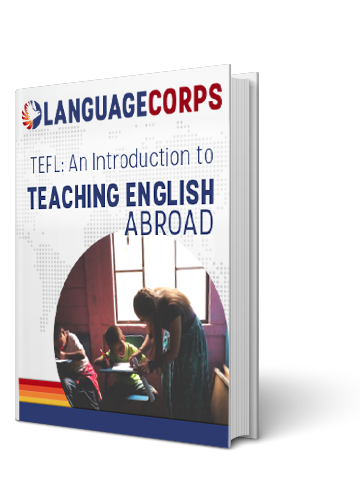 I want to thank you for all your help in preparing me to teach English abroad with LanguageCorps Cambodia. Everything you provided was very helpful and my experience has been superb. Thought you might enjoy an update from a happy graduate. I also had a very challenging class of 6 to 9 year olds in the evening, which wound up really improving my classroom management skills. They were a handful for sure! Meizel [staff member] was a great teacher and a wonderful resource. She taught me so very much, and her observations and feedback of my classes has been very helpful, making a big difference in my teaching skills. I learned a ton just from watching her teach too! She has become a good friend to all of us who have stayed in Cambodia. The trips to Angkor Wat and the beach were just too wonderful for words. We all had such a fun time, and it was a great educational experience. I also thought the Khmer language classes given by LC were great and Seila is one of the nicest people I have ever met. LanguageCorps has a gem of an employee with him. The Hotel was a bit of a challenge at first, but after a small adjustment period, it felt like home. You might want to encourage students coming to Cambodia to bring a laptop since the computer there rarely worked. It was ok for me after I bought a flash-drive and there was an internet café and copy place close by. We all had great fun at the hotel though, and particularly enjoyed the parties, including karaoke nights. The staff were extremely nice and friendly, including the very sweet cleaning personnel. LanguageCorps staff was extremely helpful in our search for jobs. We both got job offers, thanks to the help we received, and we are now very happy teachers. I got exactly what I wanted… I am a part time teacher and have 2 intermediate classes. The LC staff helped me arrange transportation to and from school and were readily available for any support I needed to get started…don’t have enough words to praise them. They also gave us good advice on contracts for teaching. I love my classes and I am extremely happy working at the university. The hotel staff were also very helpful to us in finding an apartment. Papama and I found a really great two bedroom apartment in a really nice area of town. We love it! Life could not be better for me. Don’t know how long I will stay since I have the world to see, but for now I am taking one day at a time here and I am enjoying every minute. Phnom Penh is a great city and the people are so nice. Thanks again for all your help and feel free to use me as a contact for future students. Best of luck to LC in the US. You all do a great job and I am proud to be a LanguageCorps graduate. Hope my feedback is helpful!